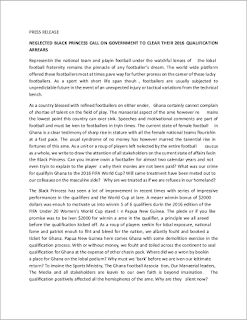 Your number one entertainment and informative blog Dawuroo.com, has come across a press release by Ghana's Black Princess to clear their 2016 qualification arrears. 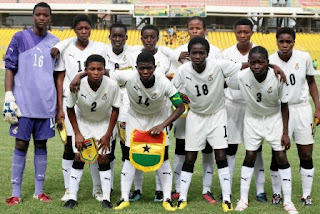 According to the press release, an amount of $12,000 was to be paid to them (Black Princess)by The Sports Ministry and GFA but only $4,000 was received. 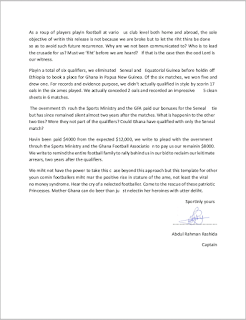 Detailing how they qualified by winning 5 matches and drawing one in a total of six matches, an amount of $8,000 is still yet to be paid to them as far back as 2016. 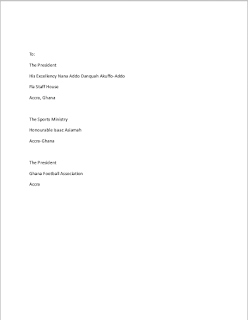 Keep with us Dawuroo.com your most informative blog as we keep updating you more.